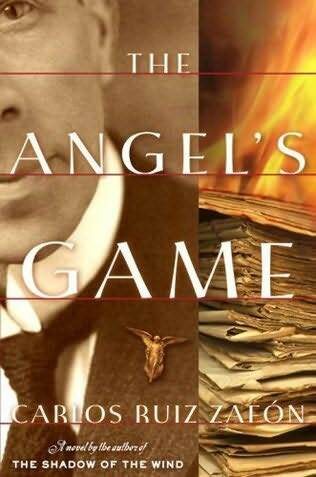 Back in 2009 I was presented with the opportunity to read and review Carlos Ruiz Zafon's The Angel's Game. It was the prequel to The Shadow of the Wind which I hadn't read yet, but decided to take the chance because it sounded very intriguing and it was. Intriguing, interesting dark, full of mysterious and supernatural happenings, obsession and murder. Check out my review here. Amazon: Zafon's narrator/hero is David Martin, an orphan brought up in true Dickensian squalor. After years of struggle, he achieves success writing a popular series of "penny dreadfuls" called City of the Damned. In time, his work comes to the attention of Andreas Corelli, a Parisian publisher with a truly Faustian proposition. Corelli offers David 100,00 francs if he will use his narrative gifts to create a viable new religion. The extraordinary tale that follows is many things at once: mystery, love story, supernatural thriller, historical drama, gothic romance, and meditation on the primal importance of stories, of narrative itself. As the author reminds us throughout this novel, books have souls, and reflect the souls of both their readers and their writers. 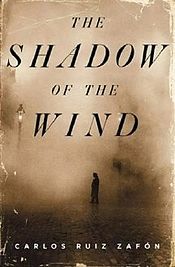 After reading Angel's Game, just had to read Carlos Ruiz Zafon's bestseller "The Shadow of the Wind." Also dark, but rich in detail and interesting characters. Amazon: Barcelona, 1945—just after the war, a great world city lies in shadow, nursing its wounds, and a boy named Daniel awakes on his eleventh birthday to find that he can no longer remember his mother’s face. To console his only child, Daniel’s widowed father, an antiquarian book dealer, initiates him into the secret of the Cemetery of Forgotten Books, a library tended by Barcelona’s guild of rare-book dealers as a repository for books forgotten by the world, waiting for someone who will care about them again. Daniel’s father coaxes him to choose a volume from the spiraling labyrinth of shelves, one that, it is said, will have a special meaning for him. And Daniel so loves the novel he selects, The Shadow of the Wind by one Julian Carax, that he sets out to find the rest of Carax’s work. To his shock, he discovers that someone has been systematically destroying every copy of every book this author has written. In fact, he may have the last one in existence. Before Daniel knows it his seemingly innocent quest has opened a door into one of Barcelona’s darkest secrets, an epic story of murder, magic, madness and doomed love. And before long he realizes that if he doesn’t find out the truth about Julian Carax, he and those closest to him will suffer horribly. Which bring me to the release of The Prisoner of Heaven on tuesday, July 10th, the 3rd book in the series which takes us back to Barcelona and the Cemetery of Forgotten Books. Happy to say I have been given the opportunity to review the book, unhappy to say there was a delay in shipping the book from the publisher so haven't gotten to read it yet. *pout* So now I wait with baited breath and very tempted to go back and reread both books since it has been a couple years before I read and review The Prisoner of Heaven. 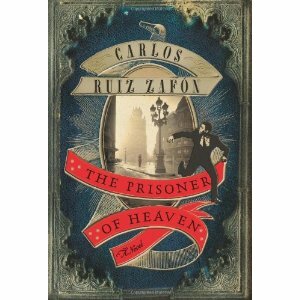 In the meantime, check out the excerpt on Carlos Ruis Zafon website. How often do you reread books in a series when a new book comes out? I finished Charmed by His Love by Janet Chapman today. Oh, man, re-reading? 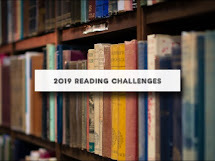 I'm always re-reading but less this year than others. As for series, it depends on the type of series and how long ago I read the others. Wheel of Time is a very long series with huge books and lots going on. I'll start from the beginning once the last book is released. Xanth? These are light-hearted and I don't feel like I must remember everything that came before. Read Shadow of the Wind and absolutely loved. It's on my list of books to reread. Finished book #26 - The Battle for Skandia by John Flanagan and #27 The Killing Floor by Lee Child. Always wanted to read Faust. Now I have read Part One. Part Two seems a little bit complicated. So, I will wait a bit before I tackle it! LOL! You always have such interesting books! I'm reading mostly for fun these days and once I start a book I want to keep reading until the end so they're mostly pretty light reading. I do re-read books but not particularly the others in a series when a new one comes out. I suppose it would depend on how recently I'd read the others. Actually made it two weeks in a row, even though I'm still behind. :) Woohoo!